The Organic Chemistry Letters (OCL) is an international journal meant to provide a rapid forum for publication of quality original research from organic chemistry. 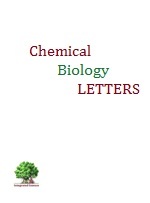 Organic Chemistry Letters covers the scientific ideas and approaches of synthetic organic chemistry, catalysis, new methodologies, natural product synthesis, new reaction pathways, peptide synthesis, small molecule synthesis, organic molecules, chemical technology and other allied areas covering organic chemistry. OCL covers the fundamental research in all branches of the theory and practice of organic chemistry for the better understanding of organic chemistry phenomenon at molecular level. The journal welcomes original research contribution from the community of organic chemists. Reaction of different substituted indoles with acetone have been investigated using Potassium decatungstate as catalyst. An efficient protocol has been developed for the synthesis of spiro indoles, 1-methyl-cyclopenta[b]indole and bis(1-methyl-1H-indolyl)propanes by the reaction of indole with acetone under different reaction conditions. The reaction conditions are benign, require shorter reaction time and gave good yields. The conjugation of nucleosides to the polyarginine-fatty acyl residues is investigated to generate microbicides and circumvent the problems associated with using parent anti-HIV nucleosides. The combination results in development of microbicides having enhanced efficacy, longer duration of action by sustained intracellular release of active substrates at adequate concentrations, and/or higher uptake into infected cells. The combination of compounds reduces the toxicity associated with nucleosides. Furthermore, development of viral resistance to two or more active drugs would occur at lower rate than to either compound alone. A series of two classes of 3-phenylpyrazolopyrimidine-1,2,3-triazole conjugates were synthesized using click chemistry approach. All compounds were evaluated for their fungicidal properties. Hexyl triazolyl-substituted 3-phenylpyrazolopyrimidine exhibited inhibition of fungal growth with an IC50 value of 5.6 µM. 4-Methoxyphenyl triazolyl-substituted 3-phenylpyrazolopyrimidine inhibited the fungal proliferation by 73% and 48%, respectively, at a concentration of 50 µM. 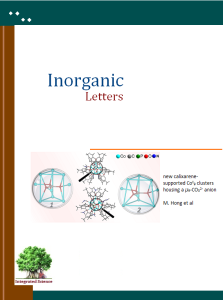 The Journal ‘Organic Chemistry Letters’ publishes research article, reviews, mini-reviews and short communications from Organic Chemistry. The Journal of Molecular Biology and Microbiology (mb2) publish article from research at molecular level to understand biological phenomenon and progress in microbiology research. The journal is dedicated to publishing of quality research in form of Research Articles, Review Articles and short communications. Welcome your conference delegates by a Journal (with ISSN no.) containing abstracts of your conference presentations. Conference organizers or conveners can publish proceedings of their conferences (i.e. abstract of presentations) in Journal of Integrated Science and Technology. Journal is having ISSN number and indexed in science databases. Details about journal is available on this link . This journal is suited for covering the conferences from all sub-disciplines of Sciences, Technology, Medical and Engineering. Step 1. Organizer / convener should inform the editorial office about their willingness to get publish proceedings of conference (use contact us link above or journal site). You will get a reply within 24-48 hours of receiving of your email. Step 2. Conveners should collect the abstract from presenters in the word file. b) Each abstract as a separate file. For this, the abstract should be at least two pages in length with suitable details about respective work of presentation. A template is provided for this sort of abstracts. Convener need to submit suitable abstracts in conference abstract template (template for conference proceedings is provided on journal site under Author Guidelines, use latest template). Not all the abstracts should be published. Convener should select only worthy abstracts for publication. The conference proceedings/abstracts selected should be elaborated having sufficient details about experiments, results and also references (so that any reader get idea what the work is about and what are conclusions). Conveners need to Review the submissions (check for all integrity, language, presentation of material) and select the publishable proceeding (accept). Conveners if think suitable then can select few worthy works for publication as full article. The full article should be prepared in article template (available on journal site) and should be at least 5 page length (in final template). It should be reviewed by conveners at their end and submitted in article section on journal. Step 3. Submission to Journal : The conveners should submit all accepted proceedings (should be in final format) online on journal site (in Proceedings/Event abstracts section). The conference proceedings will be published in regular issue (in case there are small number of proceedings). Full length papers will be published as regular articles. A representative example of publishing all abstracts in single file is available at http://www.pubs.iscience.in/journal/index.php/jbts/article/view/250 Check the pdf file on the link to see how the abstracts will appear in the journal. Conveners need to submit all abstracts at least 15 days in advance to get the journal copies before the start of conference. 1. Abstracts must be submitted at least 15 days in advance from start date of conference. 2. A minimum of 60 copies must be ordered. 3. Above mentioned price may change without notice (as paper market rate changes). A fixed quote will be issued to convener at the time of contact/submission. 4. Conveners will be responsible for pick of journal copies from New Delhi office. If conveners wish, we can ship journal copies by courier (courier/shipping charges will be paid by convener), conveners should calculate shipping time and prepare accordingly. We will not be responsible for any delay. 5. Payment must be made in advance. 6. The above mentioned charges are for B&W print of issue. If conveners wish to include any color pages, then additional cost of Rs. 14 per page will apply. 7. Abstract of only two conferences can be published each as above journal is having two issues per year. First come first serve will be observed for publishing of conference proceedings. So, conveners must contact and get confirmation about availability of issue for inclusion of conference abstracts. 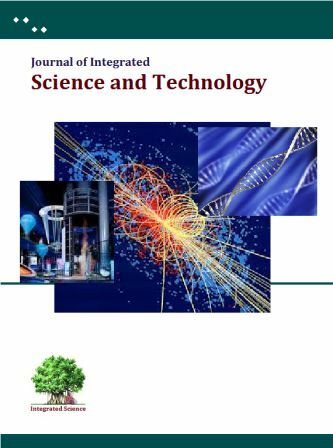 Journal of Integrated Science and Technology cover articles and review articles from all disciplines of science, engineering and technology. 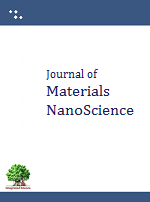 It is a multidisciplinary journal. Authors can submit articles to sections of their fields. 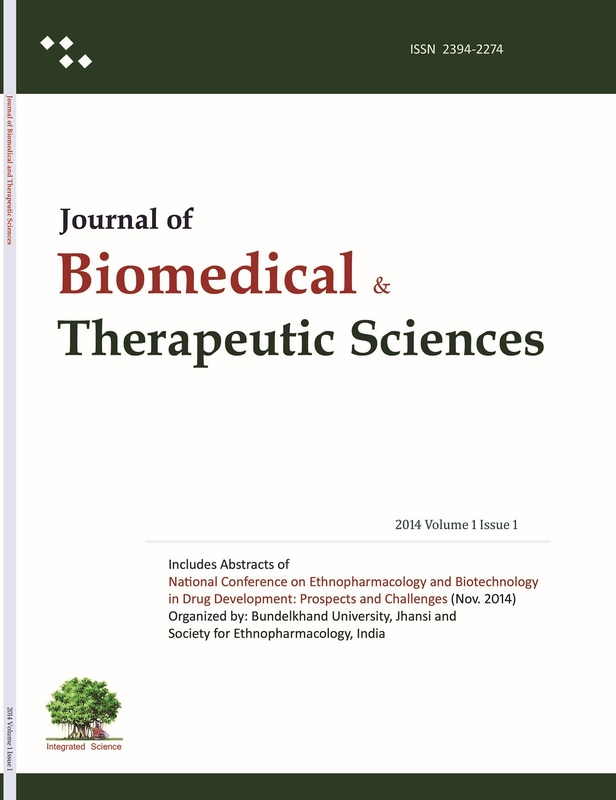 Subsections of Journal include Chemical Sciences, Biological Sciences, Medical Sciences, Agricultural Sciences, Ayurveda, Material Sciences, Plant Sciences, Environmental Sciences, Physical Sciences, NanoSciences, Nanotechnology, Biotechnology, Engineering (all fields), and Technology. Being multidisciplinary and interdisciplinary journal, authors can submit manuscript on any topic from science, engineering, medical and technology. Conference organizers can publish their conference articles (generally full length). Organizers can contact by using contact us page for procedure for submission of articles. Journal participates in big drive of open access. The Journal support open access of contents, Authors have to pay no publication charges/open access fees. Articles would be published with Open Access to make research freely accessible to scientists over the world. Integrated Journal of Social Sciences (iJSS) publish integrated articles from all fields of social sciences research, i.e. integrated journal for integrated social sciences. It publishes research article, review article, short communications and Insights from Social Sciences, Arts, Economics, Business, Humanities, Languages, History, Political Sciences, International Politics, Polity, Management, Law and all other fields of social sciences. Insights is a novel feature of iJSS meant for coverage of summarized interpretation of any social event, a two page brief on any social happening. Journal is meant for publication of research and review article from all fields of social sciences. The Authors need to submit a single file containing all the details (the supplementary file need to be prepared and submitted as separate file). Authors are advised to prepare their manuscript according to journal article template provided below. Authors need to submit a graphical abstract highlighting the contents of manuscript. Instructions about graphical abstract preparation and submission can be found on this link (click to follow). 1. R. Ping, M. Laura, P.S. Mario. Title of the journal article should be included here. Int. Lett.Org. Chem. 1996, 61, 4439–4449. 2. B.K. Sharma. Ph.D. Dissertation, Thesis Title, Cornell University, 1995. 3. R. Hussain, D. Shinkoi. Title of bool like Synthesis and application of ionic liquid, John Wiley & Sons: New York, 2010. 4. R.S. Buchanod, D.K. Reddy. In Selective Organic Transformations; T.R. Thyagarajan, Ed. ; Integratedscience: New York, 2002; Vol. 2, pp 1–95. 5. G.L. Loyale, U.S. Patent 5 934 456, 1998; Chem. Abstr. 1998, 65, 2870. Authors need to submit all manuscripts through journal website. Register by following link ‘Register‘ (make sure to mark checked the options Author and reviewer while registering for journal). On login, you will find ‘new submission’ link in your panel page. JISS publishes one or two page writeups on any specific topic (any event related to social sciences or having relevance to society) as Insights. Anyone can submit Insight articles irrespective of their position or field. Prepare the Insight article in template and submit it as per instructions provided above for general articles. While submitting, select ‘Insight’ in article types.